A fellow blogger who runs the lonerzone.com blog once told me a few months back to create Vlogs or video blogs as they are new. I thought it was a good idea, but I was still contemplating whether I could overcome my shyness appearing in a video. And since I was thinking of writing a “Thank You” note for someone who was brave in sharing his story to the world and inspiring Filipinos in Thailand, I decided to put it in a video instead. 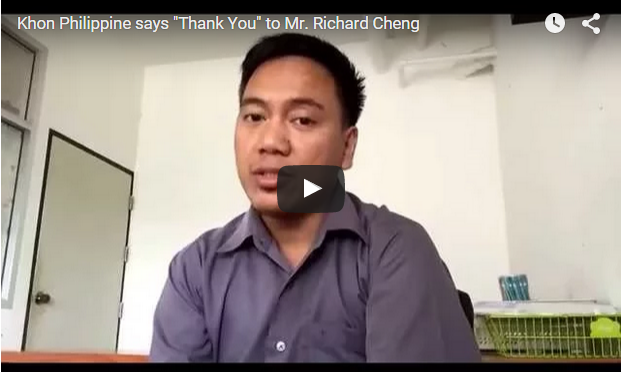 This is my first ever “Thank You” video dedicated to Mr. Richard Cheng, the first Filipino to be featured on ajarn.com’s Help and Guides section. Next Next post: Lost TM-6 or Departure Card, What Should I Do?